Michelle is the Director of Training of Digital Advocates and the Founder of Wando International, a 501c3 Nonprofit organization committed to empowering vulnerable women with the skills needed to escape the cycle of poverty and live the life they deserve. Since 2009, her flagship career development system has been used by nonprofit organizations around the world to transform the lives of over 100,000 students. For those of you who are not familiar with who I am or my story, let me formally introduce myself. My name is Michelle Huo and I’m the Director of Training here at Digital Advocates and the founder of Wando International, a 501c3 nonprofit organization that works with vulnerable women who are victims of domestic abuse and survivors of human trafficking and extreme poverty. For the past 10 years, I’ve made it my life’s work to help people living in the worst conditions imaginable, from downtown LA’s skid row to the slums of Uganda. 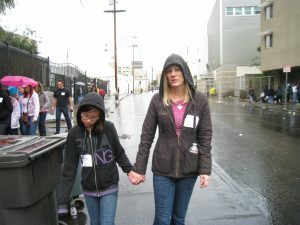 I got started in the nonprofit sector back in 2007 after my family and I volunteered with our church at the Union Rescue Mission which is the largest homeless shelter in downtown LA’s skid row. Skid Row is a 5 block section in downtown LA that has been referred to as our country’s first 3rd world city, where there are over 10,000 people living in the worst conditions imaginable. After seeing the hundreds of single mothers experiencing homelessness it broke my heart and I knew I needed to do something to help. It became my passion. Some would even say…my obsession. In 2008, I became a career counselor helping people experiencing homelessness find jobs, complete resumes, brush up on their interview skills and connect them to various resources. I worked alongside thought leaders like Andy Bales from Union Rescue Mission and Deon Joseph from the Los Angeles Police Department along with amazing agencies such as The LA Mission, The Midnight Mission, The Fred Jordan Mission and just about every nonprofit and religious organization you can think of who were seeking to make an impact in the lives of people experiencing homelessness. Their strategy to end homelessness was simple. Find housing and Get them a job. Any job. …”Go back to school to get a degree”. Thousands of people each month would follow our advice and end up getting low paying jobs with no future. The results were always the same. They would end up quitting their jobs, not because they were unwilling or unable to work, but because they would end up losing welfare benefits that they couldn’t afford to live without. 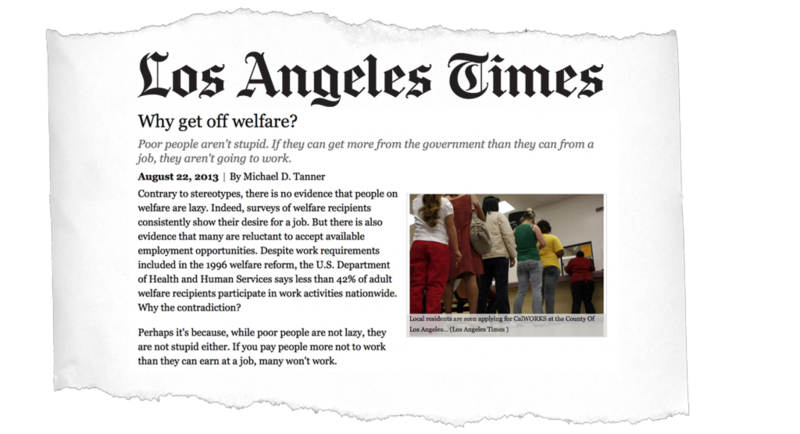 Did you know that Welfare Programs pays out an equivalent to a full-time job earning $20 an hour? That’s $40,000 a year or more in benefits. Between the cash they receive, food stamps, housing subsidies, free health care coverage, utility assistance, and Emergency Food Assistance programs. That’s for the average person. If they were creative…and most were, they can take advantage disability benefits and receive double or triple the amount of some benefits valued at $70,000 a year or more! The incentive for them to go back to work wasn’t enough. I remember after doing this for about a year and thinking… “This isn’t working”. It wasn’t just me. Other career counselors that worked with vulnerable and at-risk people here in the U.S. and even in the U.K were experiencing the same thing. The welfare programs offer so much that it just doesn’t make any sense for someone to work at a job that pays less than $20 an hour. And it doesn’t pay enough for someone to go back to school… especially if they have a family to support. I remember thinking… this is insane. There were thousands of career counselors here in the US and they are all giving out career advice that they KNEW wasn’t working. This really got me questioning everything I was doing. I started working in the nonprofit world because I wanted to help transform lives and impact the world… but it was clear that I wasn’t. This led me to really look into the problem, which ultimately led me to zero in on a solution to help the most vulnerable people lift themselves out of poverty. Registration Deadline for our Upcoming Certification Program is Next Week.